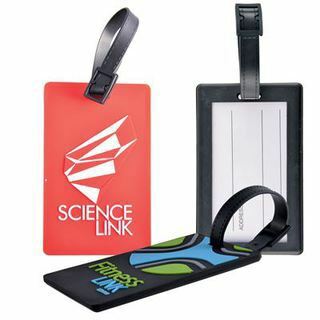 Luggage tag with black flexi PVC strap with moulded PVC 2D or 3D custom design on front. Back has black rigid plastic frame with clear window featuring removable paper label for contact details. We'll match the PVC to within 10% plus or minus of your Pantone® Colour choice.